People expect different things from different places when they plan a trip. Some people may want to enjoy nature when they travel; others would like to eat delicious food. Therefore, you might experience a conflict with others while choosing a place and planning an itinerary due to differing expectations. If you and your companion are having trouble choosing where to go and what to do due to divergent opinions, then we at The UOS Times would like to recommend visiting Sydney, Australia. In Sydney, everyone can satisfy their expectations no matter what they are. In this article, we would like to share some information on places to go, foods to eat, conveniences to enjoy, and some tips for traveling around the city. While traveling overseas, good transportation is vital especially if you do not have an international driver’s license. It is hard to move from one place to the other if there are no proper means of transportation. When the country you visit provides a good public transportation system, you can visit more places and enjoy your trip more comfortably. In Sydney, you do not have to worry about this issue. Most of the tourist attractions and places that visitors want to see in Sydney are easily accessible by public transportation. All the places recommended below are reachable by public trains and buses. The Opal card is a card that you can use to pay fees on all forms of public transportation including ferries. The card itself is free, so all you need to do is recharge it before you take public transportation. 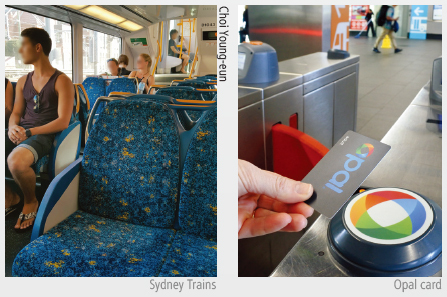 You can recharge the Opal card at bus and train stations that have charging machines. Also, depending on how much you pay to use public transportation over one week, you can get a discount. 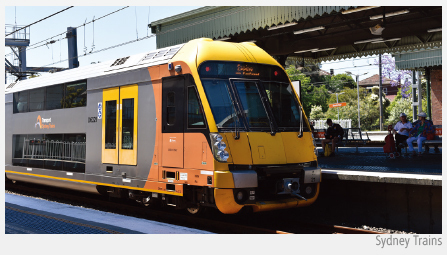 So, if you are planning to stay in Sydney for more than a week, make sure to check out the benefits of using an Opal card. Looking at works of art in a remodeled museum will give you a respite from your exhausting travel itinerary. If that museum has a place to grab something tasty, it would be even better. 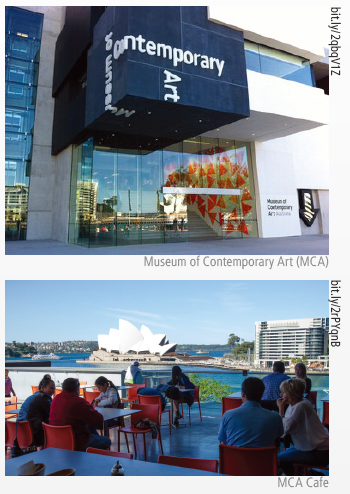 Museum of Contemporary Art (MCA) is a place where you can enjoy both beautiful art and delicious food with a great view. As the name states, MCA is a gallery exhibiting work by modern artists. In 2012, MCA underwent remodeling and reopened following a major expansion with more works of art and more pleasant places to enjoy them. There is also a free guided tour to help you understand the artists and their work better. You can appreciate various art works for free except for several special exhibitions. Also, since MCA is three-minute walk from Circular Quay, a famous harbor near Sydney Opera House, it is easy to locate. Although the art gallery itself is worth a visit, there is one more must-see place at MCA. On the 4th floor of MCA, you can find a cafe with views of The Rocks, the Sydney city center area. You can have seasonal menus with beverages that include local beer and wine. In this place, you can see both the Harbour Bridge and Opera House. 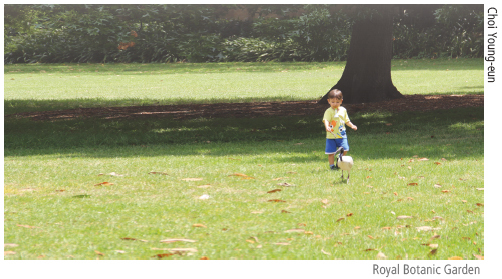 When The UOS Times visited Sydney, it was summer and daytime temperatures reached almost 35 degrees Celsius. If you are vulnerable to hot weather or feel exhausted after walking around the Rocks, we highly recommend visiting this cafe and taking a break for an hour or so. This would also allow you to enjoy most of the famous tourist attractions in the surrounding area at once. Delicious food and drink are must-have elements that one must experience while traveling. It is common knowledge that great beef is one of Australia’s specialties. Besides beef, however, Australia is also rich with seafood dishes. This is because it is surrounded by the sea on all sides. Sydney Fish Market will show you a plentiful array of sea food cuisines. At Sydney Fish Market, there are a lot of small markets where you can buy seafood ranging from raw fish to cooked dishes like barbecued lobster, scallops with cheese, and grilled shrimp. You can also purchase beverages here including wine, beer, soda, and so on. After buying your food, you can easily find plenty of places to eat. If somebody in your group is not a seafood fan, there’s no need to worry since the market sells bread, meat and fresh fruit that your friend can enjoy instead. If you choose to visit the Sydney Fish Market, there are some tips you should follow. According to residents, the earlier you visit, the fresher the seafood is. Also, it would be better to take cash instead of credit cards since some booths are cash-only. Green and blue seem like common colors you can easily find in nature but hardly in the city. People are usually surrounded by buildings, which makes it harder to inhale fresh air or relax. Therefore, lots of people choose to experience nature when they travel. Sydney will satisfy your desires to relax and experience a natural environment outside of the normal city life. 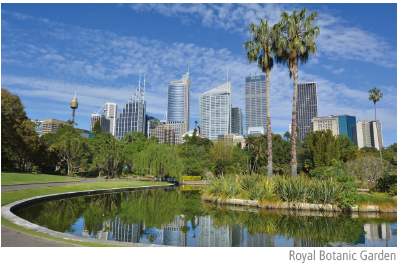 The Royal Botanic Garden is where the “Green” surrounds everything in sight. You can see greenhouses, lots of plants, and ponds. There are also many other activities to enjoy in the garden such as guided tours and exhibitions. All of the plants and the sounds of little birds will give you the illusion of being in nature. Lots of residents were there to have picnics and there was even a small wedding taking place. This could be a perfect place to take a walk after work or dinner. While you are strolling through the garden, you can see a huge white building surrounded by whole glass. 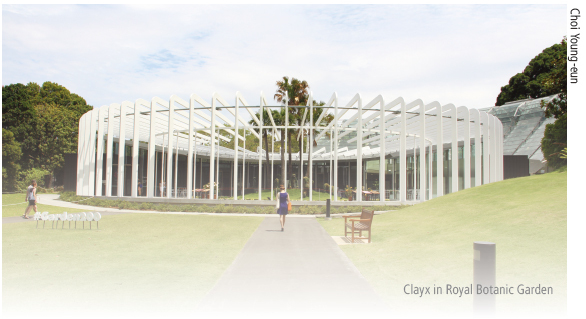 Clayx is the name of this building and it exhibits various horticultural displays. 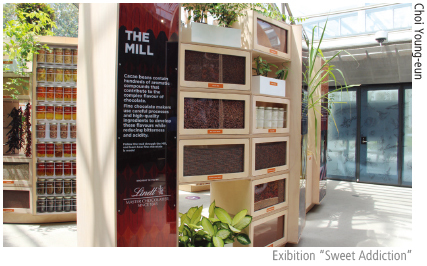 The exhibition we saw was Sweet Addiction, the botanic story of chocolate, which was held until May 2017. An audio guide was included in the entry fee so we could listen and learn about the history of chocolate. We also watched the Lindt chocolate mill while experiencing the climate of a South American rainforest. At the end of the exhibition, we were allowed to sample several chocolates. The second place we recommend to you is the Featherdale Wildlife Park. 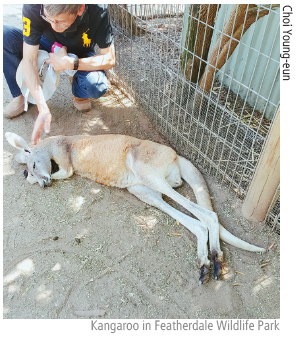 Although a little far from the Sydney city center, here you can enjoy a small zoo full of animals that will remind you of being in Australia, such as the koala bear or kangaroo. Locals suggested visiting Featherdale instead of other animal parks, since it is quieter and you can actually get up close and touch the animals. Specifically, there are four kinds of animals: Marsupials, birds, reptiles, and mammals. As mentioned above, you can pet some of them. For instance, the kangaroo, one of the most popular animals in Featherdale, was hilariously lying in the middle of the road during our visit. This could allow people to touch them and take photos at a very close distance. Feeding a wallaby with chopped hay (2 AUD per cup) will make you feel as though you are communing with nature. 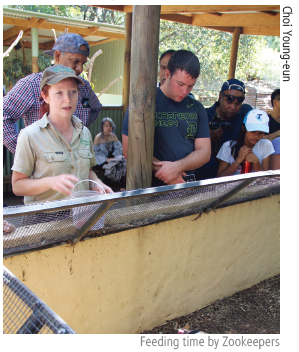 There is also a scheduled Feeding time by zookeepers who will provide detailed explanations of each animal. You can hear about each animal’s habits in the wild. Some of these habits hardly seem to match the cute expressions on their faces. If you have an International Student ID card, then you can get a discount on the entrance fee. You can also get a “Featherdale Passport” and fill it up with stamps of the animals in the front of their cages. Filling up your passport with stamps will help you to enjoy the zoo even more. If you would like to continue your animal experience, Featherdale offers even more programs that you can find on its website. Since we expect to see a lot of new and interesting things in a foreign country, traveling always make us feel excited. Sometimes these unexpected experiences will puzzle you. 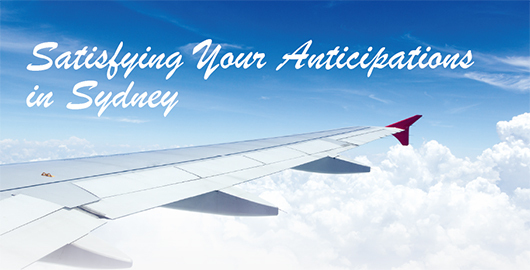 However, these experiences may also become precious memories after your journey is complete. Sydney is the place that will make you feel satisfied and give you unplanned and unexpected recollections.